A deposit is paid as a surety for the Buyer proceeding with the purchase. They are designed to protect the Seller should the Buyer be in default of the provisions of the Contract. Sometimes Buyers are caught out and lose their deposit because the Contract does not provide for their individual circumstances which may cause a delay in paying the deposit or meeting the Settlement date. All contracts for the sale of residential property in Queensland contain provision for the payment of a deposit in either the form of a lump sum or by instalments to the stakeholder listed as on the Contract. The stakeholder is usually the Real Estate Agent, however if there isn’t one, or they don’t have a trust account, it is usually held by the Seller’s solicitor. There is no requirement to pay a deposit, however the Seller usually requires one to be paid. If after the cooling off period, you change your mind and decide not to proceed with the purchase, it is likely that you will forfeit your deposit. In addition, if the Seller suffers a loss which is greater than the amount of the deposit (such as where the Seller is forced to sell to another buyer for lower than the purchase price), you may be liable to make up that loss. For this reason, it is very important that you obtain professional advice, both before entering a contract and before seeking to terminate a contract you have entered. The initial deposit is a sum which is due either on one party signing the Contract, or a calculated date after the signing, but prior to the Cooling Off date. If no latter date is specified, then the deposit is due when the Buyer signs the Contract. The balance deposit, if there is one, is a further amount which is due on a calculated date, usually on or after the unconditional date. We are commonly asked, what’s the normal amount for a deposit? Generally Sellers do not seek more than 10% or 20% of the purchase price for proposed/off the plan lots. If a payment exceeds this amount the contract may be considered to be an instalment contract. This will have unintended consequences for the Seller (such as preventing termination, restricting developers ability to mortgage the lots pending sale and allowing the Buyer to lodge a caveat to prevent the sale of a lot to another Buyer in the event default- see ss72, 73 and 74 of the Property Law Act). Apart from this, it is up to the Buyer and Seller to agree on how much deposit is warranted. We suggest that you discuss this with the Agent beforehand, as they will know if there is an amount the Seller is expecting as deposit. Also, if the Seller thinks the amount offered is low, they may not believe you are serious about buying the property and may refuse your offer. So what does (or can) happen if you don’t pay your deposit by the due date? Well, you then become in default of the Contract. Once in default, the Seller may terminate the Contract and make a claim to recover the unpaid deposit. For example, if you paid an initial deposit of $1,000.00 however you were late to pay the balance deposit of $15,000.00; the Seller can terminate the Contract and sue you for the remaining $15,000.00. If the deposit is paid on time and there is a Real Estate Agent involved, they will hold the deposit in their trust account until settlement. Once settlement has been completed they will usually (if their terms of appointment allow) deduct their Commission and pay any balance of the deposit to the Seller. If the Contract terminates under a condition of the Contract, the Seller may be entitled to claim the deposit as a penalty. You should seek legal advice prior to entering into a contract especially if you think that there may be future circumstances that may prevent you paying the Balance Deposit or even worse, meeting the Settlement date. 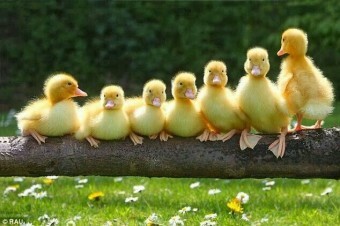 When purchasing a property it is important that you have all your Ducks In A Row. Below are some tips for you to consider when looking at buying a property. Whether you are a first home owner or an investment it is always good to bear these in mind. Do your research. Check out the market online to get an idea of what you do and do not want. The internet is a good tool for this. Also consider the area you are thinking of buying in and take into consideration if your circumstances change ‘would this property be a good investment property for us’. Key points when looking at the area to purchase in are schools, transport and shops. Have you considered a buying agent? Buying Agents are experts in finding the right property for you as well as knowing what is happening in the area you are considering purchasing in. They will also assist in negotiating the purchase terms of your Contract. For example if you’re not comfortable at making offers, bidding at an auction or negotiating settlement terms, it could be a good idea to hire a buying agent. It is always recommended that you speak with a professional broker or banker to obtain a pre-approval of your loan prior to looking for a property to buy or bidding at an auction. Don’t be mistaken, even though you may look good on paper to the bank and they have issued you with a pre-approval the bank will most likely still require a valuation of the property you are purchasing to make sure it is a sound investment before providing you with an unconditional loan approval. 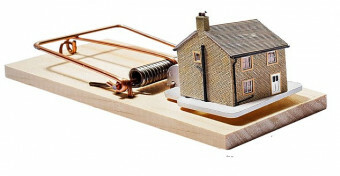 It is always recommended that you engage a licenced building and pest inspector to undertake these inspections. They will provide you with a written report and discuss the contents of it with you. We all know that a paint job can look good but what is underneath it? The inspector will get into the nooks and cranny of the property to provide you with a full and comprehensive survey of the property. Before signing a Contract your Solicitor/Conveyancer can look over the Contract and discuss its contents with you and perhaps suggest further special conditions to include for your further protection. For example if the property has undergone any extensions or major renovation works, do these require to be certified for Council Approval and are these approvals in place? Also the reasons for you purchasing this property, is it for development purposes perhaps? If so, you may need to include further development approval conditions for your protection. No matter what anyone tells you, you are entitled to obtain legal advice prior to signing the Contract. This is one of the biggest key factors for home buyers that we as your legal advisors cannot stress enough.